“Google it!”— The growing solution for job hunting. Google for Jobs has been in the recruiting space for close to two years now. Emerging as the sleeping giant, eager to recapture the millions of job seekers who have made Indeed the number one job board today, Google for Jobs aggregates listings from job boards and careers sites and displays them prominently within Google Search. According to our latest Talent Engine source analytics, on average, we’ve seen a whopping 441% increase in applicants and an 850% increase in hires from Google for Jobs when comparing Q1 2018 to Q1 2019 results for our clients. What many organizations don’t realize is that in order to achieve similar results, your career site must be configured correctly for Google for Jobs to notice your content. Items include: job content, site structure/tags, even site maps—all need to be set up specifically for Google for Jobs to index your postings. We’re here to help. Our hiring platform, Talent Engine, is readily built to ensure your job postings meet the requirements of Google for Jobs and traditional SEO, ensuring you more quality candidates from Google than any standalone ATS. 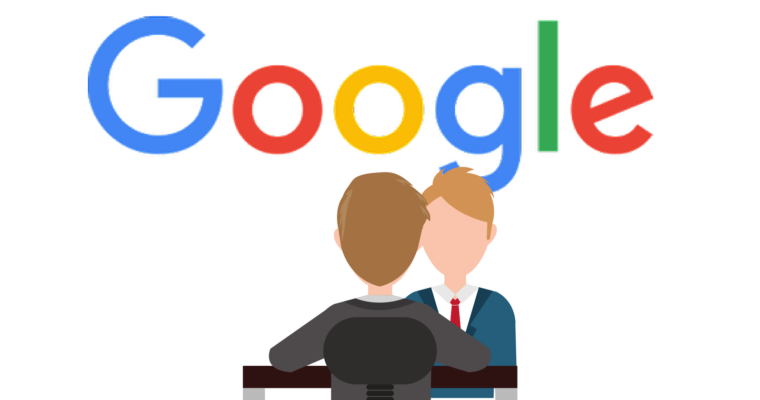 Google for Jobs is just one of many recruitment strategies that Buyer leverages to ensure our clients’ success. We are committed to staying ahead of industry trends and utilizing every opportunity for our clients to recruit top candidates. Contact us at 857-404-0864 or info@BuyerAds.com to learn more about our customized recruitment solutions that deliver results no matter the budget. Buyer provides custom talent solutions that deliver the right candidates critical to our clients’ success. We cultivate unique Employer Brands that set our clients apart from the competition, while creating a personal connection with their future employees. Our industry leading search engine optimized hiring platform, Talent Engine, empowers recruiters with a smarter way to attract, engage, analyze and track candidates through the hiring process – backed by a team of industry leaders with a passion for customer service. With a proven history of supporting a diverse mix of organizations for more than fifty years, we’re confident we’ll exceed your staffing expectations. Does your company’s website work the way you think and hope that it does? If not, you may not be getting as much attention from prospective applicants who are qualified to work at your organization. In today’s high-tech world, more than 77 percent of job seekers use the Internet as their primary source for finding leads and scouring open positions, explains an infographic from Beyond.com . More than 84 million Americans use a smartphone to do their Internet searches, which means that your company’s recruiting and career pages need to be performing well in order to capture today’s top candidates. With most adults using smartphones to access the Internet, your website must be mobile friendly. Rather than having a separate mobile and traditional website, consider using a website with a responsive design. A responsively designed website is user friendly across devices and platforms. Responsively designed websites also rank well on all of the major search engines. According to a survey from Jobvite (featured on LinkHumans), more than 86 percent of job seekers use social media to find job openings . This means that your organization needs to have both a great career page and an active social media account that is geared toward the type of candidates you are seeking. Your social media links should take guests to your career page or a landing page where users can enter search parameters to find current openings. If your organization is looking to hire tech-savvy individuals, a well-designed website is the first step to getting them knocking at your door. This is especially true if you are seeking new graduates who are well versed in the use of technology. Candidates who are highly comfortable with technology will use apps and text alerts to let them know when a job opening fitting their needs has been posted. Keeping your career pages optimized and up to date gets you fast results from candidates across the nation. Now is the time to make sure that your website is designed in a way that works well for all users. Influencing public opinion is oftentimes the lifeblood of small-, mid-, and large-sized businesses. And there’s no medium where this fact becomes more sharply crucial than media relations. What many public relations departments are learning is that social media, mobile applications, and “gamification” of a company’s more traditional assets can offer huge boosts to PR success. Here are a few emerging spaces for your public relations content to live—and how best to engage. Pinterest – As one of the fastest-growing websites/platforms in history, Pinterest has assembled hundreds of thousands of fans, followers, and “pinners”. It’s a great time to engage these ready-made consumers of media by re-pinning messages and developing your own place on this gigantic virtual pin board. Youtube – This media mogul has stumped many PR professionals for years. The trick to getting noticed is NOT to use your company’s video presence as a marketing platform, but rather to tell the human story behind your business. Evoke drama, get personal, and stay funny. Twitter – The key to success in the Twitterverse: have an opinion. With scant few characters to punctuate your point, it’s up to you to figure out a way to connect with industry issues people really care about. Be specific and chatty—a high frequency of posts will keep you relevant. Congratulations—you’ve survived another holiday. As the season heats up, don’t fall in the habit of neglecting your hiring strategy. If you’ve taken a traditional approach to recruitment, it’s a great time to flesh out your online and social media plans. The best part: there are a lot of advantages attached to starting today. Investing in your social media strategy—for recruitment or marketing initiatives—is a sound plan. Not only can you get your message out to more people in record time, social media can do it cheaper, faster, and more effectively. The trade-off? There are a lot of pitfalls to make as a company exploring Twitter, especially those who are taking a first stab at the big blue bird. Here are 5 no-no’s to consider as you prepare to tweet. 2. Not being a resource. Even though your social media output is free, provide value to your customers. Let people know what’s happening in your business, your field, and how they can improve themselves or their operation. 3. Spamming up followers’ feeds. Nothing makes netizens click “unfollow” faster than 5 tweets in one hour. Keep content brief and information moderate—a post a day, at most, will do the trick. 4. Being dull. Be confident. Be whimsical (but still professional). Mix up your messaging and use clever headlines to hook interest. Last night, the nation began mourning the loss of Steve Jobs. His personality and brand represented more than just the genesis of a successful company (Apple Computer)—his vision and pursuit of new user experiences, as well as infusing life and charm into an all-too-often dry technology sector, changed history. But if one were to distill his legacy to tactical moves, there’s a lot to unpack. Black turtlenecks instead of suits. Revolution instead of status quo. Calm, personal speeches instead of hackneyed, over-exuberant displays that similar companies had employed in the past (cough, cough, Microsoft). Above all else, Steve employed a willingness to ignore everyone else while following a rhythm all his own. Innovation comes in many forms. For Steve, they were in the promotion of the user experience, and a new amalgamation of great music and geek tech. For you, they can be an exploration into new arenas, a marketing message unique to your organization that’s never been heard from before. Above all else, never stop innovating and amazing results will follow.